I don’t know that I can pinpoint any one decision that put us into our current debt situation. I regret our furniture loan for reasons that I’ll get into in an upcoming post but everything else kind of, I don’t know, snuck up on us. I know that probably doesn’t really make sense but, that’s how it seems. I think our problem was that we could afford the debt we were taking on so, it wasn’t something we worried about. 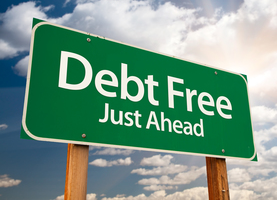 Up until just a couple of years ago we felt like having debt was perfectly acceptable and something with which we were comfortable. One thing we did that I feel certainly didn’t help, was that we thought using credit was a way to make our money really work for us. We would have the money to buy certain things but we would buy on credit because getting under a certain point in our savings made me anxious. I know some people can use their credit and pay if off immediately. We never seem to do that and eventually it wasn’t possible to pay off all at once. Then, the medical problems hit and that took away from savings and added to our debt. Now, as far as what we could have done differently, we could have used cash and if we didn’t have enough cash then it wasn’t something we really needed. That’s how we are living now and how we will continue to live in the future. There are two that come to mind right away. One the furniture loan, I should have been more alert and realize that the payments didn’t equal the loan amount to have it paid off in 18 months. That cost me probably an additional $3k-$4k. The second was putting all that money and time into a house that neither the wife or I wanted. It cost us all of savings, put us more in debt, and let the ex live in a better house. The only solace I get out of it, is that our daughter will be living in a better, safer house.As for what I have could have done differently, I am not really sure about the house. But the furniture loan, we could have paid cash for this. We had the money, I was just to focused on building our credit. These decisions effect all my decisions lately, for I thought I was doing everything right when it came to using “credit the right way” but when I hurt myself… I quickly found out how much credit really affects you, when you can’t pay it off right away. I don’t even know where to start with answering this one. Would the worst decision be the tv and gaming system while in grad school for my newlywed husband or the Disney trip right when I had paid off my credit card just a couple of years ago? Maybe it would be getting rid of an older car due to the divorce rather than sticking with it and having it paid off by now. Or the one I question the most often these days, living in a tourist town where the cost of living is so high in general. I can’t narrow down my worst decision easily, but there have definitely been milestone events like those above that have heavily contributed. Now, how would knowing and evaluating those affect my future decisions? Well, as I get older and hopefully wiser there are two things I know. I HATE living with debt, having the chance at getting behind when there are bumps in the road with work is sickening. And with my kids, I will not pay for ‘stuff’ but I am willing to compromise on experiences. We have just wasted so much on stuff and I see it thrown away, broken or become so quickly out-dated, that it’s a complete waste to me. With those two things well in hand, I will focus every bit of my energy now on getting out of debt and once there focus on staying there. And I will not be swayed by the “gimees” that got me as a young parent, but rather weigh the money spent on kids from the long term experience perspective. Hands down the #1 decision that lead to my debt was the choice to go to graduate school. At the time, it felt like the only logical decision. I want to be a professor, therefore I must obtain a graduate degree. Even though I was 22 at the start of my graduate schooling (and, therefore, technically an adult), I don’t think my mind was capable of FULLY comprehending the amount of debt that I was about to take on. And I certainly wasn’t weighing the risks of graduating and being potentially unable to find a job. If anyone else has experience with student loans then you know that when you finally graduate you are required to take “Exit Loan Counseling.” Based on the amount of my loans, my exit counseling said I needed to seek employment making $95,000 per year. It was a punch to the gut and I felt sick to my stomach. Even if I land the coveted assistant professor position, salaries in my field start at closer to $60,000. Only tenured professors have salaries flirting with the $100,000 mark. I won’t dwell on how this could potentially have been the WORST mistake of my entire life. I am still, afterall, working diligently to try to get hired in my profession of choice. Instead, I’ll focus on how I could have done it differently. In Florida, I could have ONLY taken out loans for tuition. I could have worked extra jobs and eaten rice and beans and tried to avoid any additional debt. In Arizona (where my tuition was covered by the department), I really shouldn’t have taken out any additional loans at all. I did of course, but I could have gotten by without them. Finances would have been tighter and life may not have been as “glamorous” or fun, but then I wouldn’t be stuck facing the almost insurmountable amount of debt I have. For what it’s worth, I’ve been VERY vocal with my group of friends and family about the realities of a graduate education. I am not alone. Not by a long shot. There is a huge, growing number of highly educated people who are unable to find work after taking out disgusting amounts of student loan debt. I’ve even heard it likened to the next “housing bubble” – people are being given more credit than they can handle, many will undoubtedly default on their loans, and then…..????? I think these experiences will impact my future debt-decisions because I now firmly believe there is really no such thing as “good” debt. I don’t care if its real estate, student loans, etc etc etc. There are no guarantees with anything and every form of debt carries some VERY REAL risk. I really feel for those of you paying medical bills. Being Australian it’s such a foreign concept to me that you’d get huge bills from a hospital. If a loved one is sick of course you’re going to do all you can and have them treated without question, but to have those bills roll in later would be heartbreaking. Keep up the good work everyone. Thanks SammieK! It really can be disheartening! Especially when you have health insurance so you have a (false?) sense of security. But if something bad happens, the costs can really become astronomical QUICK! 1. Thanks to all the bloggers who have really made the “new” BAD a terrific arena for conversation and ideas. I actually hope that you guys dial it down just a little bit to make sure you don’t burn out! 2. We all need a margin of error when it comes to financial decisions. In some ways, needing more than we anticipate is a “known unknown” (to borrow some infamous terminology). That means that even buying things with cash is not always the best decision over not buying it at all. 3. Learn from, but don’t dwell on your past errors. It’s human nature to do the latter, can be hard to do the former! Thanks for the words of encouragement! I really like your point #2, also! Learning to live with less is definitely a concept I’ve been drawn toward in recent years. It goes against all the typical American notions of “success,” but I am finding as I grow older that I’m actually happier when I have less “stuff” and “clutter” in my life. It’s hard with kids (kids have SO MUCH “stuff”), but something I continue to work toward. LIke a lot of you said, it seems little bad decisions here and there eventually add up to years of mismanagement. Throw in a medical issue, job loss, car issue and everything starts to fall apart. I know what you mean (“rain on their parade”). Ultimately, I know most people are going to do what they want to do regardless of what I have to say. But at least I feel better knowing I did my part. Especially at this age (30), I find that a LOT of my old high school friends are bored with their jobs and decide to go back to school because everyone always says continuing education is a good thing. In my humble opinion, the ONLY reason to continue education is if you have a specific reason to do so. Continuing education just for the sake of education is a mistake if it has to be financed (if you can pay cash – go for it!). In my situation I had a specific reason for going to graduate school – because the job I want (and have always wanted) requires it. But even then – look at me now! So anyone who wants to go back just for fun or just because….is making a big mistake. (Again – if they can afford to pay cash then, by all means, go for it….but most of these people are taking out loans).